We’re giving away a mountain of Wallets this week! 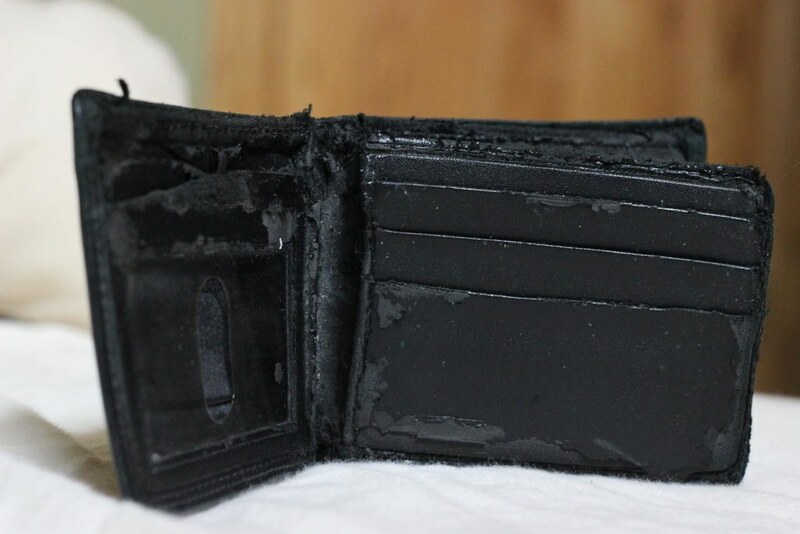 To enter, post a NEW photo of your crappy, velcro-stricken, genuine “leather”, held-together-with-bubble-gum wallet and use #TakeMyCrappyWallet on Twitter, Instagram, or Facebook. 30 of our favorite entries will be chosen to exchange their crappy, velcro-stricken, etc., etc., wallet for a rugged slab of full grain bovine beauty. Their poor taste in wallets forgiven, five of those 30 winners will also receive a $100 Saddleback Gift Certificate! You’ll also want to keep tabs (get it?) on our social channels for a thorough review from Dave on these shameful currency carriers. 30 winners get to exchange their wallet for one of ours*. Of those, five winners also get a $100 Saddleback Gift Certificate!